The Reluctant Bookseller | Carol Sheldon writes books exploring times-past through mystery, love, betrayal and murder. 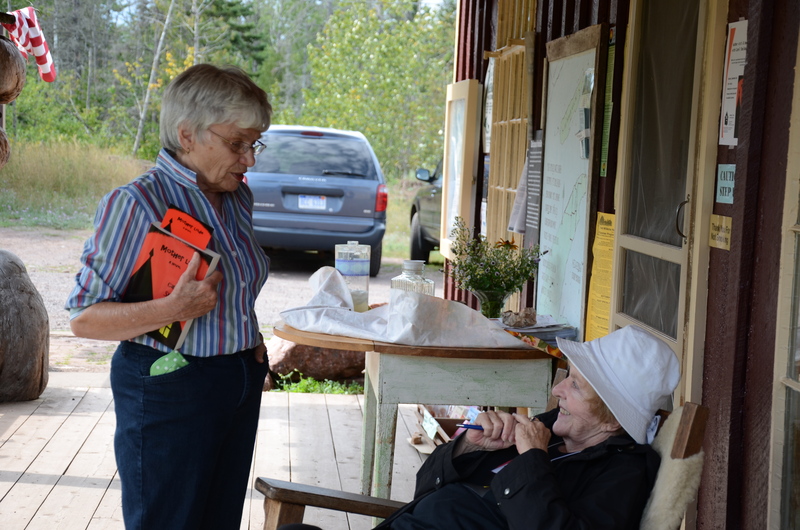 ← We’re here–in the Upper Peninsula! Reluctant? How could that be? 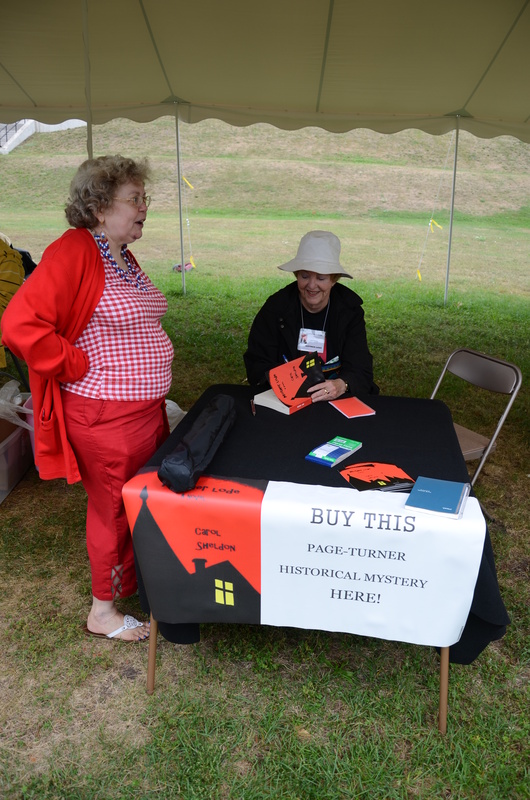 Well, as I said, I didn’t bring enough books, so while at the Hancock Farmers’ Market this morning, with only one display book and not wanting to let it go, a woman was very persuasive and finally talked me out of it. 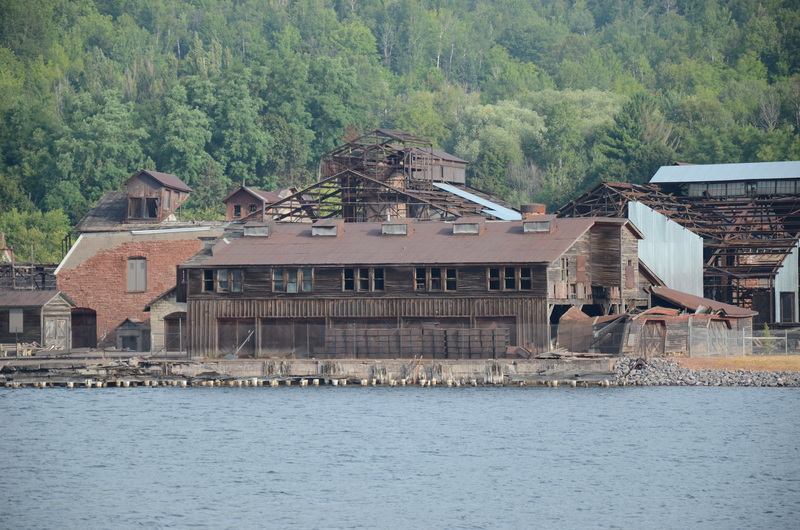 I had saved back the few I had for a publicized book signing in Copper Harbor this afternoon–yes, that’s way up there. Embarrassed to go with only 5 books, I took back 4 of the 6 I’d left with Quincy Mine the first day, and 1 from a bookstore! So I arrived with 10 for the book signing, and sold all. I could have sold 50 around the county these 3 days, and only brought 21. Lesson: Bring more than you expect to sell. It’s not been a profitable trip in terms of money, given the cost of the trip, (even though we’re using an electric frying pan in the room, the outside grill and the micro in the breakfast room, all kind of fun, too.) But I’m here to plant seeds, and hope these bookstores will continue ordering in the years to come. 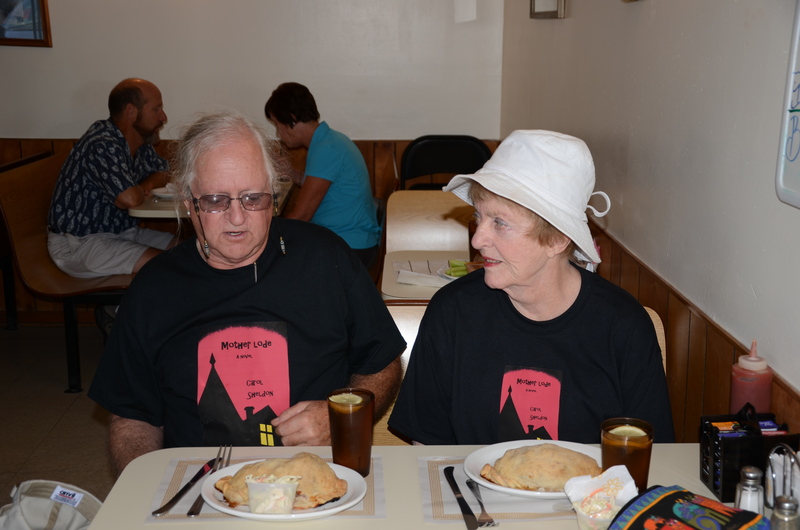 We had our first pasties yesterday in Laurium–very tasty. I’ll have to include a recipe or two, one of which calls for 3 Swedes! Stuart has taken a lot of pictures in the last 3 days. We focused on old buildings, most of which were made of red sandstone. The Pastie was delicous however the 2 or 3 sweedes needed more meat…lol I’m certain glad for the digtial cameras. The film costs would have put me in the poor house.